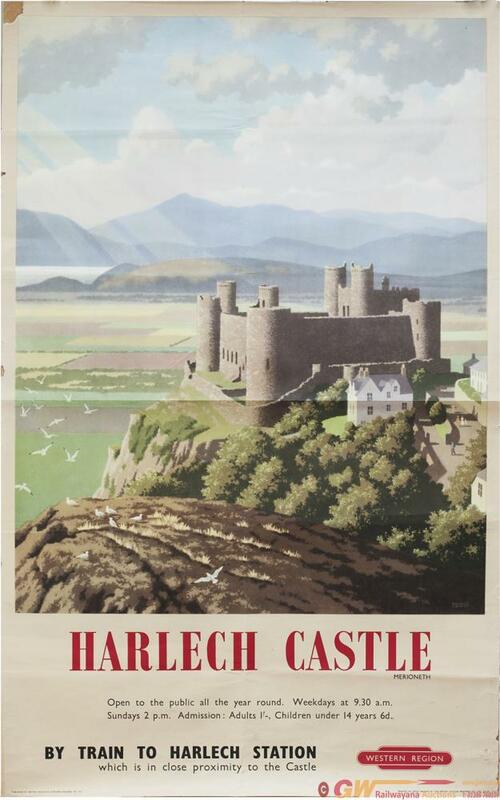 Poster BR HARLECH CASTLE by Ronald Lampitt. Double Royal 25in x 40in, published by The Western Region. In good condition, has been folded and small loss to top left hand corner.